How Long Does Opana Stay in Your System, Blood, Urine? How Long Does Opana Stay in Your System and Urine? A semisynthetic opioid manufactured by Endo Pharmaceuticals is known as Opana. The active ingredient in Opana is Oxymorphone, a powerful semi-synthetic opioid analgesic. In other words, it’s a narcotic pain reliever used usually in the case of severe pain. Some may use it as an aide for maintaining anesthesia before surgery. Oxymorphone is derived from thebaine, an alkaloid extracted from the opium poppy. Opana binds to the MORs (mu opioid receptors) in the brain that yield intense analgesic effects. Opana helps the brain lessen pain anywhere in the body. Excessive dosage can lead to a feeling known as anxiolytic impact, which is a mix of physical relaxation and euphoria. This makes it a sought-after drug by people seeking to get high. Because of its addictive properties and the impact on the body, it’s classified as a Schedule II substance. Schedule II means it’s highly potent for dependence as well as abuse. In short, it’s highly potent and has high chances of appearing in any drug test. So, if you or a loved one has taken Opana and has a test coming up, knowing how long Opana stays in your system. Let’s find out. Giving exact duration can be hard because there are so many factors involved (which we’ll discuss shortly). To understand how long Opana can stay in your system, we need The drug’s elimination half-life. Let’s look at the half-life of Oxymorphone hydrochloride – the active ingredient in the drug. You can administer the drug either in immediate release (IR) or extended release (ER) format. Quick release half-lifes are between 7.3 and 9.4 hours. And when given in extended release, the half-life can be between 9 and 11 hours. In the case of immediate release, the drug can take from 1.67 days to 2.15 days to exit your system. Also, in case of extended release it can take from 2 to 2.5 days to exit your system. If you have a drug test coming up, you should test negative if you stop taking medicine at three days before the test date.Thus, no matter of which you administered, Opana IR or ER, three days will be sufficient. However, to be on the safe side, stopping the dosage five days in advance is ideal. How Long Does Opana stay in Urine? A urine test is pretty standard to detect the use of opioids, and Opana can result in a positive test. So, let’s see how long it can be detected in your urine. 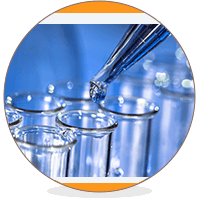 A urine test involves taking a fresh sample from the person and testing metabolites of Oxymorphone. The two primary metabolites are 6-OH-Oxymorphone and Oxymorphone-3-Glucuronides (O3G). Since O3G can be found in abundance in the urine of an Opana user, it’s analyzed using certain scientific techniques. A common one used is High-Performance Liquid Chromatography (HPLC). The detection window of Oxymorphone metabolites in urine is from 24 hours of dosing to 48 hours. However, in some extreme cases, the metabolites can be detected for up to five days after dosage. Factors that Decide How Long will Opana Stay in Your System or Urine? One major factor that decides how long Opana stays in your system is the method to administer the drug. IR is less common but faster way as the drug peaks in the serum within half an hour of ingestions. However, this also results in the drug leaving your system via urine faster. On the flip, ER is more common which provides a slow but steady release and lasts much longer. So Opana takes longer to exit the system. According to careful estimates, Opana leaves the body about 10 hours faster when delivered as IR rathe than ER. Every person is different, and our bodies respond to drugs differently. For instance, two people who took the same dosage will vary regarding how long the drug stayed in their body. The reasons behind are rather unexplainable. However, underlying factors include people’s age, body mass, renal function, health, underlying conditions, food intake. For instance, elderly or obese people usually have a slower metabolism. They have a higher risk of needing other medication, which can increase the time it takes Opana to exit your body. It’s a no-brainer that people with a faster metabolism and renal function will excrete the drug faster. Depending on the person, if you use Opana with Alcohol, it can either increase or decrease the plasma concentration of the drug. However, typically it will increase as much as up to 270%. Alcohol strength plays a key role, and a higher power of alcohol will increase the concentration. Several other drugs react the same way. The result is that half-life of the metabolites increases, and they can stay in the body for much longer. After the format of administration, (IR vs. ER), the second major factor is the dosage. Dosages usually administered in the range between 5 and 40 mg. However, a higher dosage increases the workload of the bodies system while it is trying to excrete Opana. Also, it impacts the efficiency. That means that normally, Opana should be completely out of your system within three days. However, it can take longer if you take a high dosage. More frequent users develop tolerance to Opana, which means their body will take longer to get rid of the drug. On the flip, infrequent users are less likely to have the drug stored in their fat cells or renal pathways. Moreover, infrequent use also reduces the likelihood of dependence or tolerance development. Now that we have answered the question, “How long does Opana stay in your system” as well as “How long does Opana stay in your urine,” Remember One thing. Dependence on any drug can be dangerous, even life-threatening. Never take drugs without a prescription or bought on the street. Likewise, as soon as you feel you’re taking more dosage or more often than recommended, instantly consult your physician. Addiction Resource » Addictive Substances: The Anatomy of Drug Addiction » Opana – Abuse Symptoms, Side Effects, Treatment, and More » How Long Does Opana Stay in Your System and Urine?